The grime veteran has a varied musical history, and his 13 selections across rap, soul and dancehall are proof. As I said before, rap is all about bravado and 50 Cent turned gangster rap into something cool - he was on a billboard for Reebok with a bulletproof vest on. He's not a technically sick MC, but his aura and the tunes and the way he dismantled Ja Rule couldn't be denied. He was the most feared rapper on the planet – you knew, even if you were a better MC, that he would destroy you. He's funny as well, he can make people laugh at you. 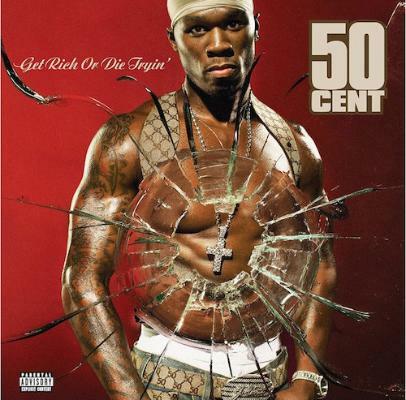 This album is cold; you can hear the Eminem influence in it, where you can tell that 50 is rapping in a different way. Since this came out, I haven't really cared about a new rap album from the US – the UK's music is far too wide now to even try to tackle the US again.